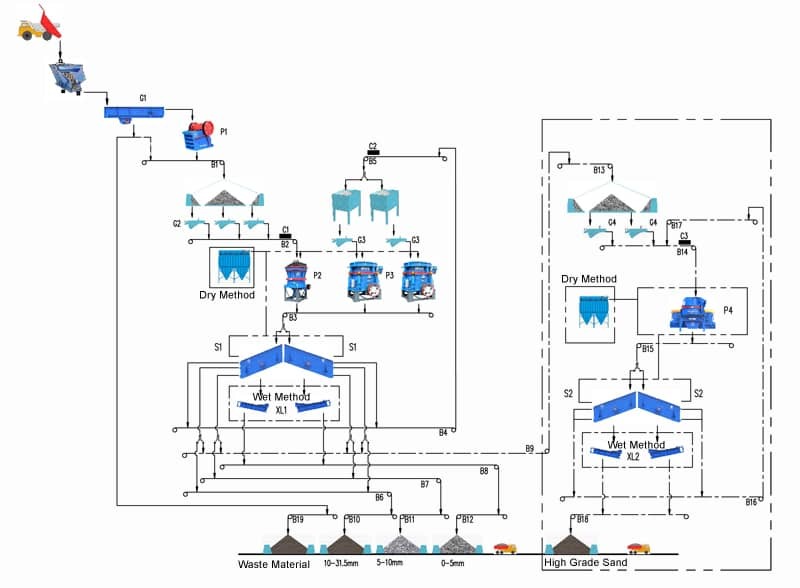 Home > News > Product Knowledge > How to design 800 t/h Granite Crushing Production Line? 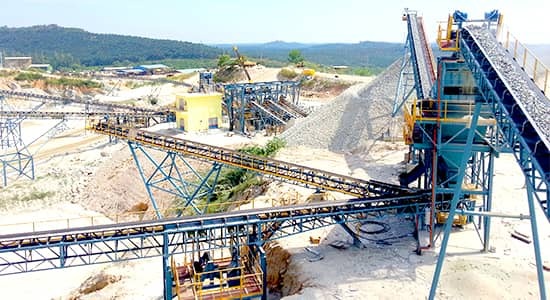 How to design 800 t/h Granite Crushing Production Line? Granite crushing production line is one of the common stone crushing production line. It has high automation, large crushing ratio, high crushing efficiency and the finished products are in cubic shape, with low needle flake content. How to design 800 t/h granite crushing production line? It is well-known that granite has high hardness but with certain brittleness, compared with basalt, granite is more fragile to be crushed, and harder to be broken than limestone. Therefore, in the process design of granite crushing production line, the crushing equipment based on lamination principle should be selected to reduce wear loss of wear-resistant parts. Two stage crushing and three stage crushing can be adopted. The crushing process is raw materials - vibrating feeder - jaw crusher - cone crusher - vibrating screen - finished products. Luoyang Dahua specialized in manufacturing crushing machine for more than 30 years, the company has rich design experience, strong technical support, and professional service team. The manufactured crusher machine and complete solution win high praise from the customer. Following, please see the customer application of 800 t/h granite crushing production line. Project Introduction: This project is located in Malaysia, mainly used for the production of construction aggregates. In order to improve the installation efficiency and save investment costs, the whole system adopts the modular structure installation method. Production Capacity: below 25mm, 800 t/h.